Wealth management companies are looking at digital avenues to engage their clients. The industry is changing rapidly with the advancement of Fintech start-ups. The consumer demand is driven by the digital technologies. The wealth management companies are revamping their offerings in line with the changing consumer trends and demands. According to a Royal Bank of Canada Survey, 82% of high-net- worth individuals in Asia Pacific expect their wealth management relationship to be conducted entirely or mostly through digital channels, while 83% of them said that they are far more likely to leave wealth management firms that cannot offer an integrated digital and direct channel experience. 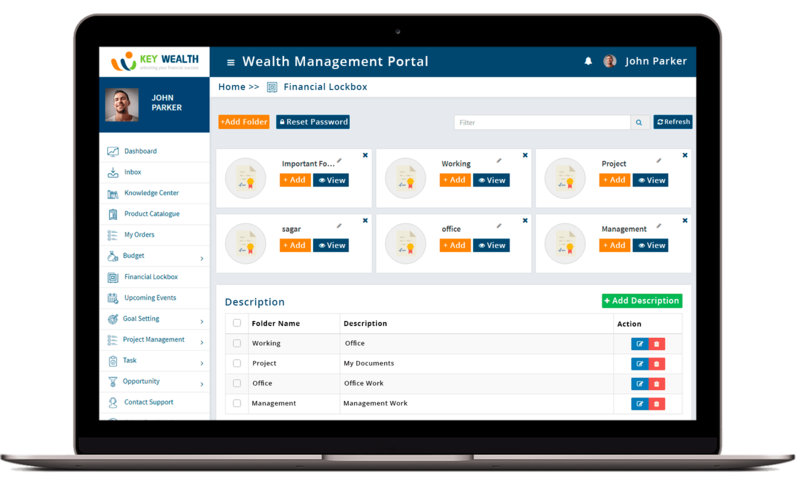 When clients are registered on the portal, the wealth management companies can analyse patterns of data. 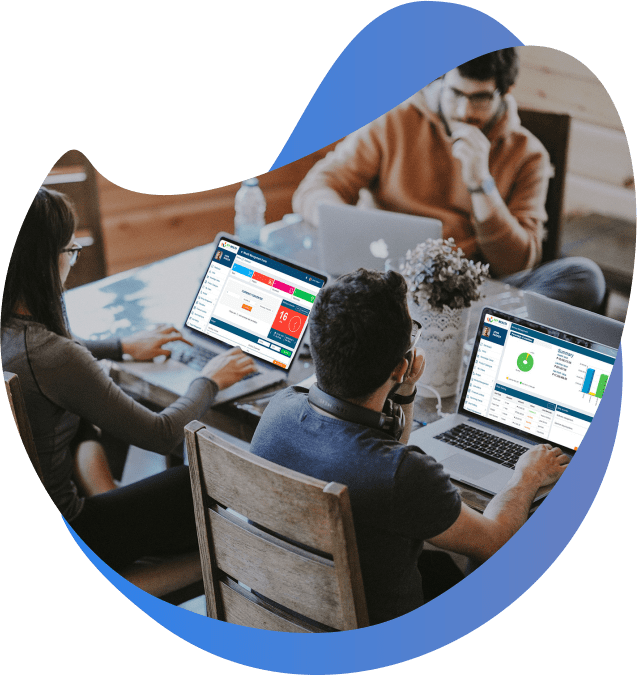 They have access to data and information that allows them to compute ROI across sectors, clients and locations. It helps them present clients with the best investment opportunities, present them with concrete reports and customised portfolio services. Knowledge center allows companies to educate their clients on financial matters. 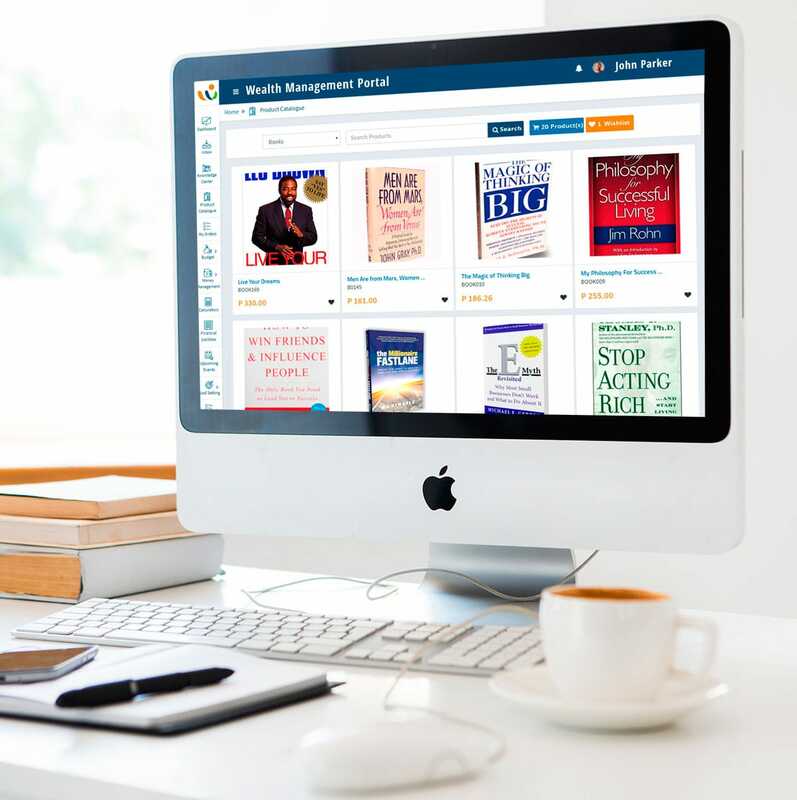 The organised way of sharing information, investment tips, webinars etc can be achieved through knowledge center. The knowledge center allows companies to share articles, Infographics, white papers, audio podcasts and videos with the clients. The clients get organised information for finance with this service. Good marketing is driven by customer needs. The wealth management companies get all information about clients that helps them come up with customized products and services for clients. These companies can make suggestions based on clients’ financial goals, investment horizon and current investments. The companies can sell their products and services through integrated ecommerce portals, which is only accessible to the members. Tax planning, consulting, returns filing, mutual funds, real estate, & other products can listed on the portal. 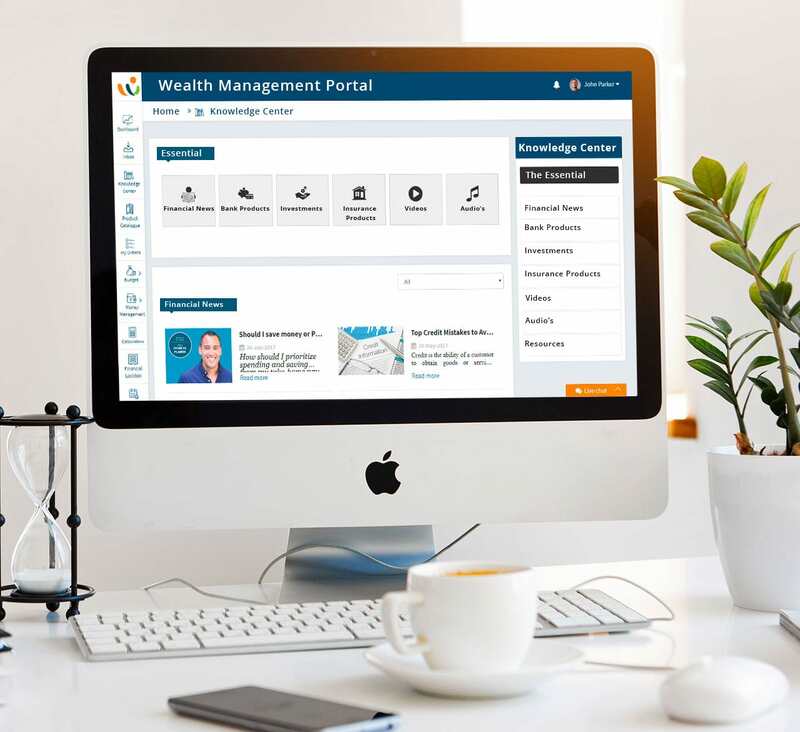 The portfolio management portal gives clients the necessary tools for financial planning. It also prompts them to take actions to meet their goals. The clients also get to see whether how they rank against others on the portal. For e.g. whether they are doing average, above average, among top 10% etc. The portal is an essential tool for urging clients to take the best route for securing their financial future. The financial lockbox is a digital locker for organising all important documents. It is a highly secured way of keeping your financial documents in digital form with you. All investments like real estate documents, bonds, provident funds etc can be stored here. The financial lockbox provides accessibility for important documents as and when needed. The wealth management company can leverage digital tools for interacting with the clients. The portal allows them to invite clients for seminars, conference and events. The personalised invitations are sent to all members on the portal. These members can confirm and attend the events. The planning and logistics are simplified using wealth management portal. 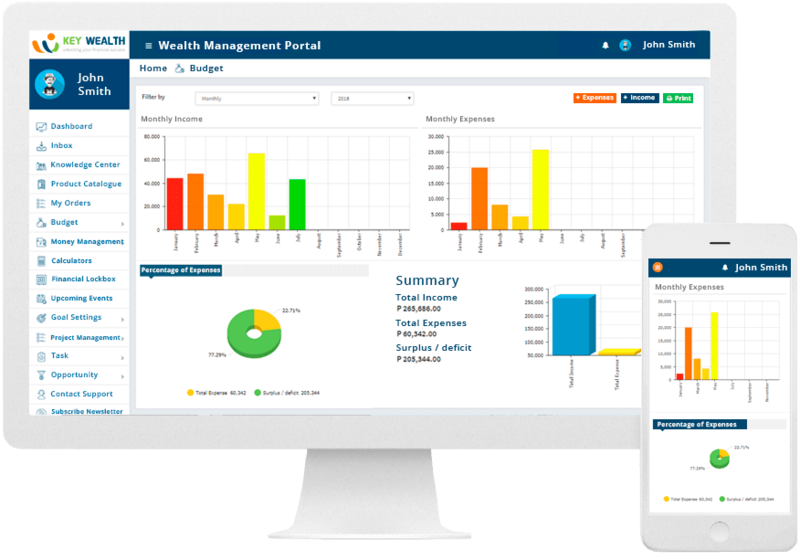 The portal gives tools to clients where they can interact with portfolio management company realtime. 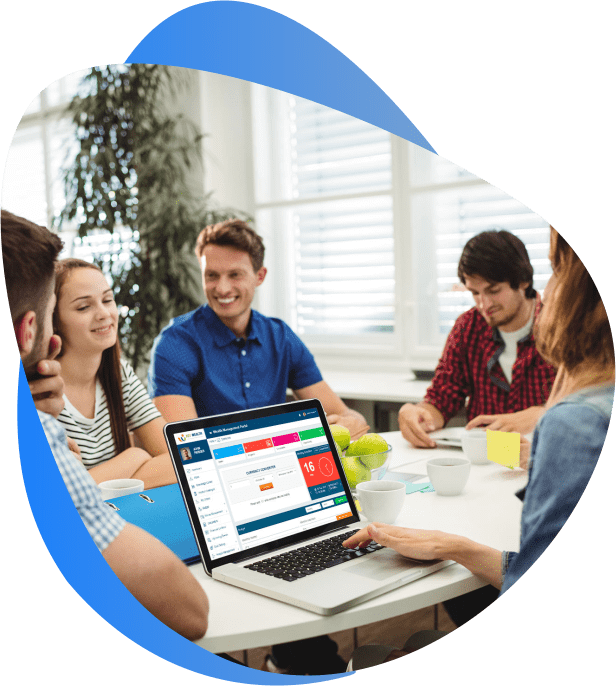 They can chat, message and communicate through video conferencing tools on the portal. The wealth management companies typically have support and administrative staff looks into these matters. This increases client engagement and also opens up good business avenues. The wealth management companies are able to build their member communities using the online portal. The members registered on the portal help these companies create organised groups and meet-ups. The portal helps create online and offline interactions, events and builds up a strong community of like minded people. The digital acquisition and servicing of customers gives the wealth management firms a significant advantage. These companies are able to improve their reach across locations using technology and also retain more customers using digital tools. The omni channel interactions, digital marketing driven by analytics & improved client engagement lead to improved market share for companies. Are You Ready for Success in the Digital World?